The Biologically Interesting molecule Reference Dictionary (BIRD) contains information about biologically interesting peptide-like antibiotic and inhibitor molecules in the PDB archive. BIRD is an external reference file (similar to the Chemical Component Dictionary) that provides information about the chemistry, biology, and structure of these molecules. BIRD entries include molecular weight and formula, polymer sequence and connectivity, descriptions of structural features and functional classification, natural source (if any), and external references to corresponding UniProt or Norine entries. BIRD is regularly reviewed for consistency and accuracy, and is used to uniformly annotate PDB entries containing these molecules. The dictionary is updated each week with new definitions as the corresponding PDB entries are released in the PDB archive. The corresponding BIRD ID code only appears in the PDBx-formatted file of the entry. All the components that comprise a BIRD molecule in a PDB entry are listed in the BIRD definition with complete linkages. For example, a modified gramicidin A molecule in PDB entry 1KQE is comprised of two truncated gramicidin A molecules linked by a non-polymer residue (succinic acid). 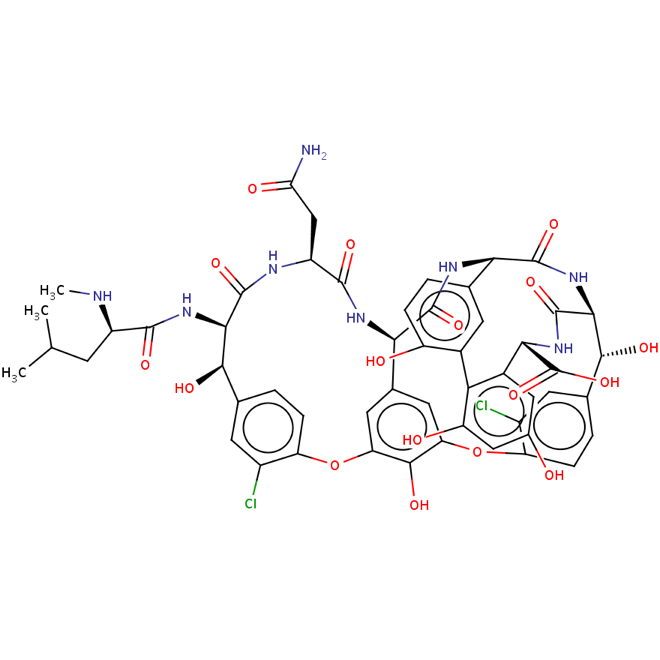 This molecule is fully defined in BIRD (BIRD ID: PRD_000154). A BIRD molecule may be represented as a polymer with sequence information or as a single ligand with chemical information in a PDB entry. The preferred representation is specified in the BIRD file, along with a representative PDB entry code. All PDB entries containing the same BIRD molecule will have uniform representation. An important feature of BIRD is to provide dual representation - both sequence and chemical information is provided, regardless of whether the molecule is represented as a polymer or as a ligand in the PDB archive. 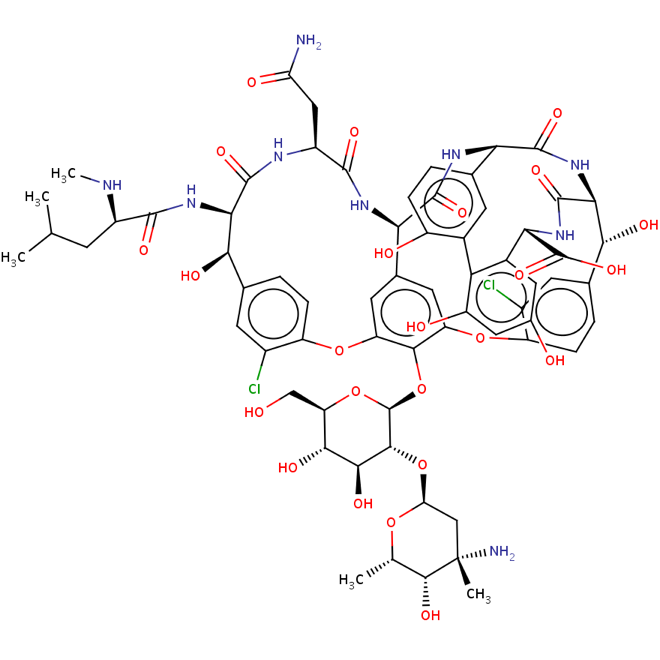 Example: information available about peptide-like antibiotic and inhibitor molecules found in the PDB archive using the vancomycin family as an example. 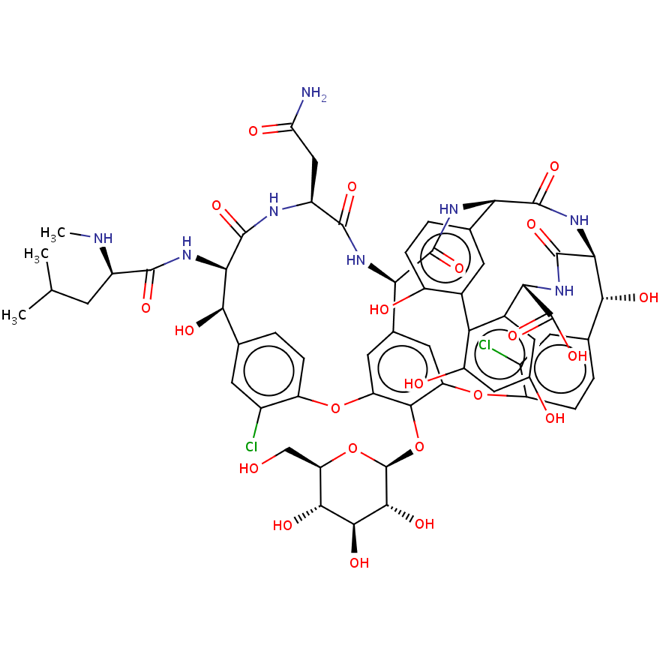 The four vancomycin molecules shown below share the same structural feature: glycopeptide (type) and the same functional classification: antibiotics (class). They all contain a peptide core with or without sugar decoration. Click on an image to see a larger version. (A) Chloroorienticin A has a disaccharide and a monosaccharide decorating the peptide core (PRD_000203). 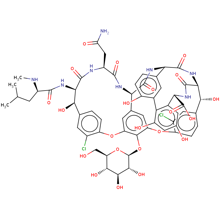 (B) Vancomycin has a disaccharide decorating the peptide core (PRD_000204). 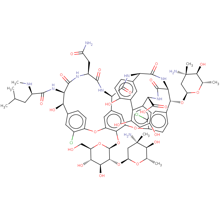 (C) Vancomycin aglycon has only a peptide core (PRD_000206). 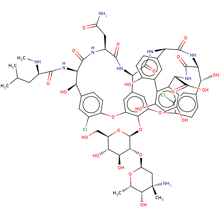 (D) Desvancosaminyl vancomycin is an intermediate in the vancomycin-biosynthesis pathway. It has one saccharide linked to the peptide core (PRD_000205). _pdbx_reference_molecule.formula                     "C73 H88 Cl2 N10 O26"
FAMILY. THE SCAFFOLD IS A HEPTAPEPTIDE  WITH THE CONFIGURATION D-D-L-D-D-L-L.
AND THE THREE LIGANDS (HET) BGC AND TWO  RER. DISACCHARIDE ON RESIDUE 4  AND ONE MONOSACCHARIDE ON RESIDUE 6. 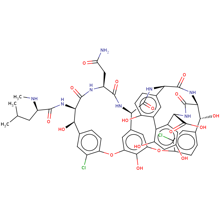 PRD_000203  1  1  polymer "PEPTIDE LIKE SEQUENCE RESIDUES 1 TO 7"
PRD_000203  1  PN  1  4  GHP  O4   2  ? BGC  C1  sing  1  2  ? PRD_000203  2  PN  1  6  OMY  ODE  3  ? RER  C1  sing  1  4  ? PRD_000203  3  NN  2  ? BGC  O2   3  ? RER  C1  sing  2  3  ? 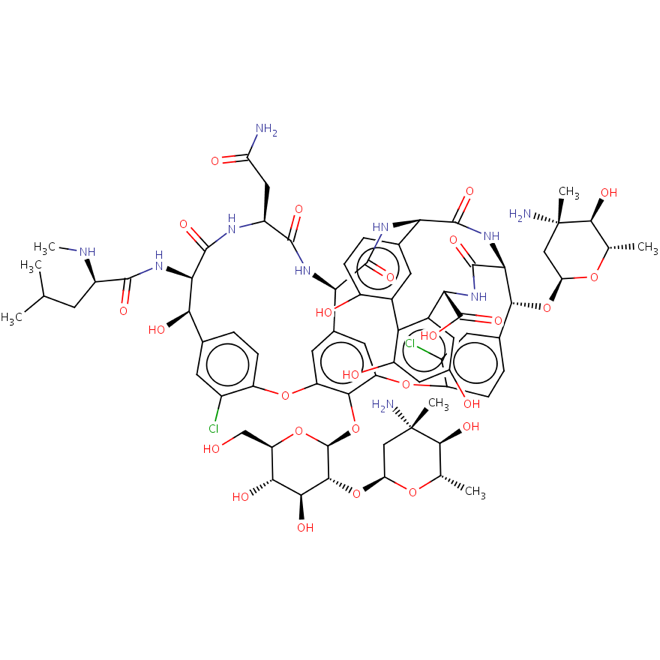 designated Norcardia orientalis and Streptomyces orientalis)"
PRD_000203  2012-02-08  RCSB  "Create molecule"
PRD_000203  2012-07-09  PDBe  "Other modification"
PRD_000203  2012-12-12  RCSB  "Initial release"